We’re what professionalism sounds like. The perfect soundtrack to the best day of your life, spun with your wedding or event in mind. The DJs of Complete Weddings + Events Omaha will keep you and your guests dancing till the reception ends. Ever since Nikki has come to Complete, she has been a powerhouse DJ that has taken clients by storm. Nikki excels at building that relationship that most brides and grooms want from a DJ and delivers every last bit of energy to make sure they are wowed! She has achieved various recognition for being the highest evaluated DJ and is the head training DJ for Complete. If you are looking for fun and excitement, look no further. Nikki did an absolutely incredible job and I would recommend her to anyone, and everyone, if they were looking for someone to do theirs as well! She made the whole experience amazing and helped us get everything right down to the last detail. Nikki is just amazing. She was incredibly easy to work with, and she was an absolute professional the day of our wedding. I cannot say enough good things about her - she is legit a gem of a person. Apart from just being the absolute sweetest person, she is REALLY dedicated to and passionate about her job. I love her as a person, and I would trust her with my life. I legitimately adore her. I can’t say enough good things about her – she was absolutely wonderful. She met with us a week or two before the wedding and we went over everything. She was great – she asked lots of questions and she put any concerns we had at ease. Everyone had a blast at the wedding. She was prepared, professional, accommodating, and fantastic at her job. We really could not have asked for anyone better. Nikki was literally exactly what we were hoping for. I will absolutely recommend Nikki and Complete Omaha for anyone that needs a DJ. Please pass our most sincere thank you to Nikki for doing such a wonderful job. We will absolutely be in touch with Nikki again the next time we need a DJ. Thanks a million for making our special day perfect. Nikki, you are wonderful!!! Fondue has more than 100 events as a DJ. He also has a podcast on 95.7 The Boss. He comes from a background in music as a producer, writer, and artist. Fondue takes pride in creating those special moments at every event. The DJ was very clean cut, friendly, fun, and was very responsive to any requests we had. Was a good announcer too! We loved how interactive our DJ was and how involved he was with our wedding. He got everyone out on the Dance Floor from grandparents to 3 year-olds. Fondue was very friendly, knowledgeable and the best part.. very entertaining and fun! He made our special night even more special. DJ Fondue was the absolute best! He was so nice and fun! He did a great job keeping the reception on track and keeping the smiles on the guest faces! He truly has a gift and is so good at sharing it with people. My guest LOVED him! My officiant also was so appreciative of him helping her prep for the ceremony!! Jerome is one of our more experienced DJ’s with over 400 events in his portfolio. He enjoys being able to make a personal connection with his clients and ensure confidence that he has everything under control for your special event! Jerome was great, he directed the flow of our reception and kept everything on time so I didn't have to worry about anything the moment I stepped in (after our wedding so that was HUGE!). Very professional and polished, they also took care of our slideshow seemlessly - would definitely recommend! We had Jerome as our DJ on New Year's Eve, and he was absolutely wonderful!! He was very professional from the day we met him and he really listened and understood what we were wanting out of our DJ. He made us feel so comfortable and we had absolutely no worries walking into our wedding. If we ever need a DJ for anything again it will definitely be Jerome! Jerome was our DJ but he did so much more than DJ. He was more of a wedding reception coordinator! Jerome was absolutely amazing in every way! Our wedding would not have been the same without him. Jerome perfectly orchestrated the entire reception, it was flawless, seamless, and most importantly the best day ever! As soon as we got to the reception, Jerome was at our side making sure we were taken care of. The entire family loved him! I had no worries at all, I did not stress at all the entire evening. I could not be happier!!!! Thank you Jerome for the most perfect day of my entire life!!!! Xavier has proclaimed himself “DJ Suits” because he is dedicated to bringing style and class to your affair! He specializes in a broad range of genres going back almost 20 years and is a DJ who truly loves what he does! Xavier was attentive to the kinds of music appropriate for children in our setting. He screened song content to be sure the music was what we requested. He was polite and professional and the right amount of engaging to the crowd. Xavier was so professional with our high school population. With over 400 events of experience, Pat is known for not only his great customer service skills, but his ability to adapt to all situations. To say he cares for his clients is an understatement. Pat goes above and beyond to make sure that regardless of what type of event he is at, everyone will have an awesome time and everyone has fun. Patrick was amazing! We loved how he read the crowd and kept our dance floor packed all night long. He also was very attentive to us and kept checking in to see how we thought everything was going. He was truly concerned about our experience and wanted us to have a fun party! Our DJ, Patrick Geho, did an amazing job, and frequently checked in with us during the reception to make sure it was going exactly the way we wanted. I would highly recommend them for other events and weddings. Pat did a great job keeping our reception on pace. He was super attentive to our needs and went above and beyond to check in with us throughout the night and see how things were going, if we needed anything, if there were songs we wanted to hear, etc. He did extra little touches for us like carrying my plate through the buffet line, keeping the head table stocked with drinks from the bar, etc. He was a perfect addition to our night, thank you so much! Pat Geho did a fantastic job! He added so much to the wedding reception from the time the guests arrived for cocktail hour, wedding party introductions, cake cutting, dismissing tables for the dinner buffet and special dances. There was a Husker football game on the TVs at the beginning of the reception and the bride and groom were introduced just as the Huskers scored the game winning touchdown. Perfect timing Pat! He incorporated special activities for the kids including a candy toss and glow in the dark necklaces and bracelets. Everyone told us what a fun time they had and I know that Pat was a big part of making that happen. He was also very considerate of the bride and groom and parents throughout the evening and asked several times if there was anything he could do for us. I would highly recommend Pat Geho for anyone planning a wedding reception! Thank you! DJ, Pat G., was amazing! He was so focused on making sure our day was perfect. He continuously asked if we needed anything, and was willing to do it all. He played the music we wanted, catered to our group, and was very kind and professional! My spirit instrument is a Saxophone. I can be jazzy, but romantic at the same time. I am here to entertain you and your crowd of any/all styles. I shine with my white glove customer service and I am here to make your day. If you are looking for a DJ well versed in several genres, including older music, country, rock, or, her personal favorites, Top 40 and Hip Hop.. AND you are looking for a DJ that will be both professional with your guests and a Rockstar behind the booth and on the dance floor, DJ Alexis is a perfect choice! Zach brings a fun & young energy to our team Omaha. He has a varying taste in music but knows today’s new music like the back of his hand! His favorite part about being a DJ is being about to personally connect with each table at the event and provide them with a party they won’t forget! If you are looking for a DJ who loves interacting with everyone, has great music knowledge, incredible energy, and one of the best improvised dancers this side of the Missouri river; then DJ Air is definitely your guy. His specialties are mixing, voice impressions, and doing back flips, but he only does one of those a night! Arieus is also great with customer service and tending to the wedding party very closely. He will not disappoint! Arieus was an amazing dj! He was super interactive with our guests, played what the crowd was responding to, and was an amazing dancer too! He was very polite and just great with customer service. Seriously will recommend him to everyone we know. The whole process with complete was great as well. Quick responding time and fair prices. Complete did my sister's wedding and they were wonderful there too! Will definitely never bring my business anywhere else, but Complete! Our DJ, Arieus, was one of the highlights of our wedding. Not only did he keep the energy high the ENTIRE night, he was so thoughtful and caring of how we wanted our night to go. He checked in with us about a variety of things, but was never overwhelming. He helped me (the bride) get my food, and then was more than happy to get my Grandfather's food for him! His music selection was top notch, and he handled last minute changes and announcements like a true professional. I can NOT recommend Arieus enough. If you are looking to have a flawless, high energy wedding, he is your guy! A great smile, a great attitude, and awesome dance skills are just a few key points that Nick’s clients think of when they talk about him. A veteran DJ in his own rights has lead Nick to become a flexible and adaptable DJ throughout the City of Omaha. His attention to detail and his desire to serve his clients has aided in his successes here at Complete. Our DJ Nick was amazing. He helped us through all of the confusing wedding routines we were having trouble navigating. He was so friendly and easy to talk to. He danced with the crowd and was great with all the kids who requested songs. I would suggest him for any occasion! Nick was our DJ and he was amazing! He made sure we got everything we wanted, and the guests loved him!! I would recommend him to anyone, no doubt!! Our DJ Nick was amazing at our holiday party! He really made it a great night for everyone. Jason grew up always wanting to entertain people. Following in the footsteps of his father, he is a 2nd generation family DJ. As a pastime, Jason was an actor, which gives him the ability to adjust and perform to fit any crowd. Jason is extremely outgoing and has no problem with being the energy of the party while expressing his love for music. Excellent customer service, my questions were answered quickly each time! Jason did an amazing job! He played great music all night, he read the crowd well and played what they wanted to hear and what kept the party going. He was very easy to work with and did a great job talking to us about what we wanted and incorporated that into the night. We were very very happy with him! Scott is a true asset to any bride! With 21 years of expertise DJing across the country, Scott is truly a great entertainer. Scott, a polished and season veteran, has awesome MC abilities and a great knowledge of all music that will please any client. Scotty was interactive and knew just how to word things to get people out on the dance floor. He was very nice to us (bride and groom) and greatly appreciate his services!! He is very outgoing and can tell he loves his job. He made our night a night to remember and we still cant believe how many people stayed all night dancing!! Scotty B delivered a wonderful reception party! He got everyone dancing, and everyone involved in one way or another. I have gotten more compliments on the DJ than any other part of the wedding. He was easy to work with, and the whole night flowed so smoothly. I couldn't be happier. Anytime I had a question or just needed to get in contact with something from Complete, I was always taken care of promptly and was treated as a true valued customer. Complete contacted me weeks prior to my event and totally put me at ease knowing that I was working with a company that cared and wanted to make my big day as perfect as I imagined. DJ Scott Fincham was absolutely everything we could have asked for and more. He interacted with the crowd, played all the best songs, and made sure that we were taken care of not only with entertainment, but with ANY other needs that night. Completely amazing!! I give you guys 5+ stars. Tay Westberry AKA Mr. West has the abilities to “Wow” any venue, clients, or event that he is involved in. His command of the art of music, along with his incredible attitude to have fun has propelled him to unreachable heights not only at Complete, but in the industry as a whole. 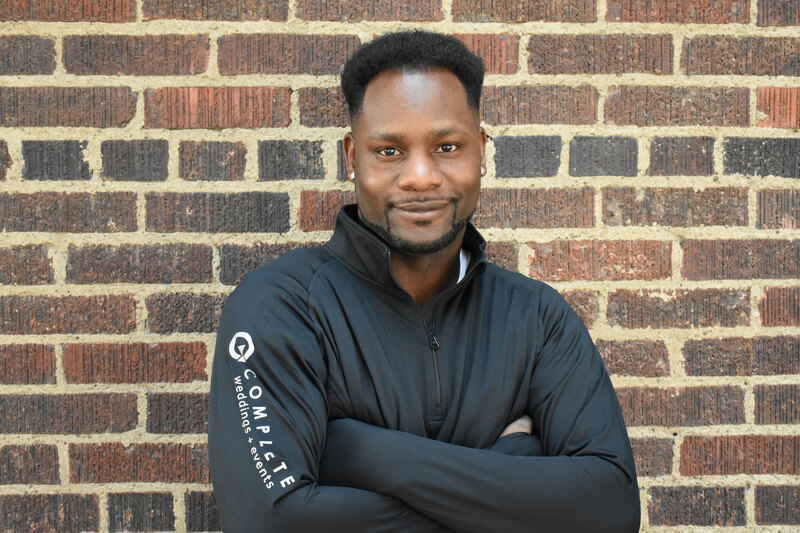 A sought after DJ across the city, Tay has been awarded numerous awards such as, “DJ of the Year” for Omaha and for all Complete franchises nationwide. Tay has truly revolutionized the DJ industry and what people think of in terms of what a DJ should be! DJ Tay West did an incredible job at keeping people on the dance floor all night long! He was quick and intuitive with music selections and so professional. Everyone is still talking about his genius trick to get everyone on the dance floor for a "group photo". Those that maybe never would have danced were convinced otherwise when they heard his music selections and how comfortable he made everyone feel. He also understood our preferences for music of the 50s and 60s, which he played during dinner. We had guests coming up to us during dinner to compliment the songs he was playing. When the dance floor opened, he knew exactly what to switch it to to keep everyone engaged and happy all night long. As the night ended, we truly did not want him to leave. We could have danced all night long! Tommy is attentive to his clients’ needs and enjoys being interactive at all of the events where he performs. Tommy is a very accomplished MC and he keeps the flow of his events moving at an optimum pace throughout the event. Tommy goes by the DJ name of Big Tom. Tommy worked with us to make sure everything was perfect and he kept the energy up all night. We and our guests loved it! Melanie has had a love for music all of her life. She comes from a musical family and enjoys expressing herself through song and dance. Melanie’s passion for her job shines when she is able to create the connection to music on the dance floor. Our DJ, Melanie, was one of the highlights of our wedding. Not only did she keep the energy high the ENTIRE night, she was so thoughtful and caring of how we wanted our night to go. She checked in with us about a variety of things, but was never overwhelming. She helped me (the bride) get my food, and then was more than happy to get my Grandfather's food for him! Her music selection was top notch, and she handled last minute changes and announcements like a true professional. I can NOT recommend Melanie enough. If you are looking to have a flawless, high energy wedding, she is your gal! Melanie did an absolutely incredible job and I would recommend her to anyone, and everyone, if they were looking for someone to do theirs as well! She made the whole experience amazing and helped us get everything right down to the last detail. Perry has been in music his whole life. He began as a DJ and Emcee for his hip hop crew in high school. From there he grew to performing at house parties and night clubs. Perry has been in the DJ spotlight for years and still loves the feeling of bringing the experience to the dance floor. He is one of our request only staff members at Complete. Since joining the team Tyson has kept himself very involved with our organization. This has really helped in his development as a true professional in his customer service and interactive skills. He is a true emcee in that he is able to control the flow of the events and speak over the mic in a way that is exciting and informed. Overall Tyson really enjoys what he does and it shows. Tyson Malcolm was so great to work with! He met with us before our wedding and went over our songs and timeline with us. The day of was hectic come the reception time - we were late arriving and we were being pulled in all directions by family members - but Tyson helped us stay on schedule, or at least as close to as possible and made things run smoothly! Everyone loved the music and had a blast!! Thank you so much! Tyson was AMAZING from the second we met him at our consultation through the end of our reception. I cannot say enough fantastic things about Tyson. Our ceremony was delayed due to rain, no worries there. Tyson still had everything timed perfectly. Our grand entrance was so lively & fun, he kept the reception moving along at a good pace without everything feeling rushed. Despite a medical emergency, paramedics, & a gas leak, Tyson made sure the dance floor was moving! We had so, so much on our wedding night. Thank you, Tyson! When we meet with Tyson, he was very interested in knowing about our relationship, what type of music we liked, and how we wanted our reception to play out. He had a great smile and was very positive and was easy to talk to. He also brought a lot of great music ideas to our wedding. Tyson brought a lot of energy to our wedding reception and kept our guests interested and active throughout the whole night. He made sure everyone in the wedding party knew what they were doing and made our entrance very fun and entertaining. The music was was great with a good mixture of upbeat hits as well as slow songs. Tyson was a good mixture of business like by helping our reception run smoothly but also outgoing and energetic when he danced with us on the dance floor and taught us a few dance moves to the songs that were played. Jessica and I would highly recommend Tyson at future events as he was an absolute pleasure to work with! To be honest, Tyson was the best DJ I have ever seen. He was the key to everyone having a great time that night. We were so lucky to get him. We had Tyson as our DJ and I would recommend him to anyone. He went above and beyond at our wedding and was out there dancing with our guests making sure to keep the party going. He was professional and personable and made our reception a party which is exactly what we wanted! Thank you Tyson and Complete! What do you look for in a wedding DJ? Whatever you need I take care of it, along with the awesome company I liaison for, COMPLETE. I do all varieties of tastes in music and enjoy it all. I want you AND your guests to have a great time. I’m a wedding planner. I assist with anything I can, I make sure YOUR day is spectacular. Look no further, your friendly neighborhood DJ Joey is here! Joey did amazing! He made my night very unstressful! Thanks so much guys! DJ Joey was wonderful and outgoing. He listened to us very carefully and followed through. Also, Jaiden on the photo booth was amazing. Very kind to all and very organized! 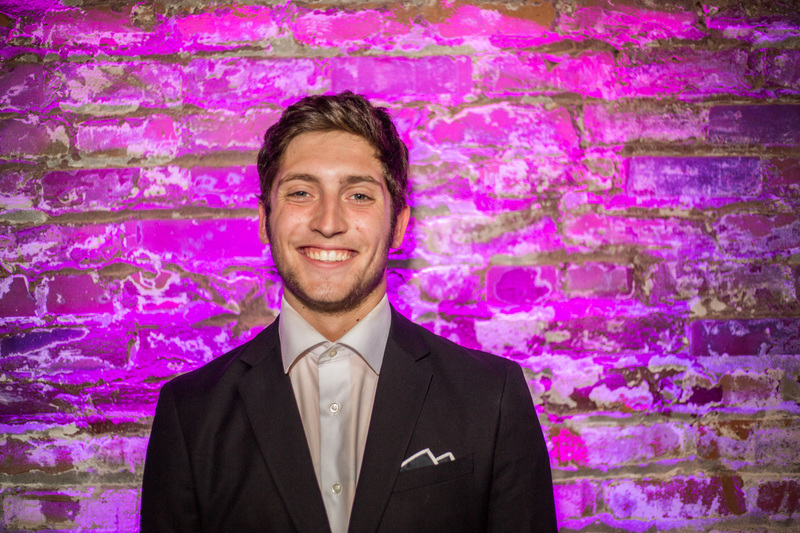 Christian is a young and energetic professional who wants to make your event rock! Having been with Complete Weddings + Events for almost a year, Christian has proven himself to be a rising star! Scroll down to see what clients are saying about Christian! Amanda and team were great to work with, their communication was fantastic. Christian our DJ was professional and a lot of fun. Complete did an amazing job!! Everything was perfect and we couldn't be happier with our experience with them!! Jeff has several years of DJ experience and started with Complete in the 90’s. He took a break to pursue his full time job but missed the relationships he built when he was DJing and playing an important role in special events. Jeff is a traditional DJ with extensive music knowledge with all genres. Jeff was our DJ and he was so great. All of our guests loved the music he was playing. People were dancing all night long. We didn't have any problems or anything - if we did, they took care of them!!! Can't thank Complete enough!!! Jeff was amazingly attentive and did literally everything we needed him to. He was very accommodating when we had song requests and did a great job of keeping people on the dance floor, staying with the flow of the evening, and making sure things went smoothly. Everything was amazing. The DJ was absolutely essential in making my day perfect and anytime I spoke with anyone at Complete, they were kind and welcoming. Everyone involved was concerned about what we wanted and gave us an answer right away. They made sure that they can do everything they can to make our wedding smooth sailing without us even having to ask. Chris has been with Complete for over 9 years as a DJ. He has learned a lot about what it takes to make an event memorable to the couple and their family on their special day. 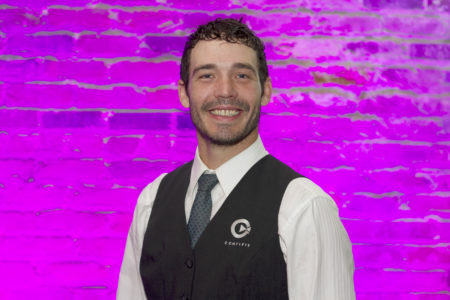 Chris has an amazing way with people and goes above and beyond to ensure confidence in the event and specializes in involving the crowd into his dances. He also enjoys coordinating with all other staff who have a part in the event so the couple can truly relax on their big day. Chris is a request only DJ. Tony is a very talented MC/DJ. He has the ability to adapt and perform extremely well at any event. For the time that he has been at Complete Music he has performed at wedding receptions, high schools, Bar/Bat Mitzvahs and many other events. Tony sets his standards high, which makes him a true professional at his craft. The DJ was great and kept the crowd entertained and got them involved and out on the dance floor! He ran the show and went above and beyond the "call of duty" with every aspect, especially when it came time for the slide show and the couple forgot to bring their laptop - he took the reins and had everything under control! Tony Kimball did an amazing job! I really enjoyed the energy that Tony Kimball had at the wedding. He was very attentive to the needs of not only myself but the rest of the wedding party. He also took lots of requests from guests at the wedding. He worked great with our officiant and wedding coordinator as well. Tony Kimball, our DJ, was an extremely professional DJ. He was personable, punctual, and really helped make our night flow smoothly. We could not recommend him higher and are so thankful that he was our DJ. James Cloyd has a wonderful personality and his talent as a professional MC comes seemingly natural to him. His skills as a communicator, organizer and coordinator put him in a class above all others. James takes the time to learn all he can about the event and the people that will be involved in it. He approaches every event with a genuine personality that results in a truly unique experience for the clients and guests. He is truly proud of his profession and it shows in his attitude and his touches with others. James Cloyd was our DJ & he was absolutely THE BEST. He kept the party going & his mix of music was great. We received a lot of compliments on the great job he did. Very personable man. He did a very thorough interview with our kids prior to the wedding to have an event that reflected their choice of music and ideas for the reception. "Thank you James" for the great job at the Korbel/Parrott wedding reception! James Cloyd was an amazing DJ for our wedding reception. All of the guests that attended the reception commented the next day on how great of a job he did at getting everyone out of their seats and onto the dance floor! The DJ, James Cloyd, was absolutely phenomenal. He met with us ahead of time one on one and nailed it. We had comments even from the security guard at the reception that he'd, in all his years, never seen so many people on the dance floor consistently. In the UFC®, Alexander made his iconic debut by defeating top UFC® light heavyweight contender, Keith Jardine, in 48 seconds. After Jardine, Houston clinched another impressive first round TKO victory over Alessio Sakara. Outside the cage, Alexander exudes all forms of hip hop. A notable b-boy and street artist, he also keeps up with his lifelong love of music as a local DJ with Complete Weddings + Events and on-air talent at Power 106.9 FM. Mark is super energetic! He loves to get out on the dance floor and teach the latest dance. He enjoys building relationships with his clients and getting to know their music style. With his charismatic personality and attention to detail, Mark makes sure his events are flawless! I cannot say enough good things about Mark. He was phenomenal. My favorite thing about him was the really touching little intro he gave to the last dance of the night—he told the kids to enjoy this time in their lives and to appreciate their friendships because life gets harder, etc. The teachers in the room were really impressed…as were our students. Please tell him he’s the best DJ we’ve ever had at a Mercy dance. I hope he is around until I retire. Mark helped make the reception a hit. He kept everyone on the dance floor through the music or the party games he did. I wanted everyone to have fun and they did just that thanks to Mark. I can't say enough about him! I will definitely recommend them and Complete Events to anyone and everyone. Brandon is great at engaging with guests, interacts well with children and has great attention to detail. He is passionate about music and his main goal is to make sure the dance floor is packed and his clients are happy and have lasting memories by the end of the event. Patrick possesses a charismatic personality and puts his clients at ease with his professionalism and attitude! Many clients go out of their way to praise him for a job well done and you can see his passion shine through at every event! From big days to school dances, bat mitzvahs to corporate gatherings, our Complete Weddings + Events Omaha DJs work with you to create the perfect event, with professional party motivation and expertly coordinated announcements.